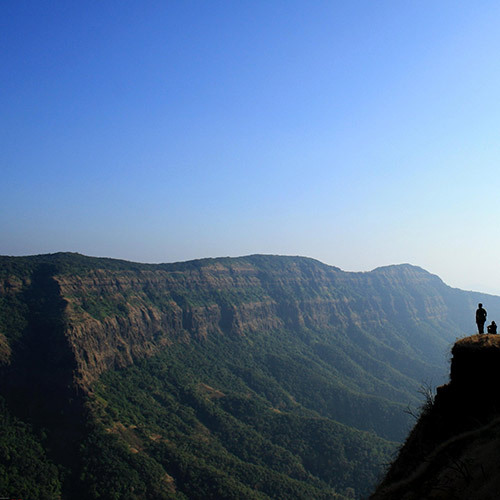 About the Visapur trek:The trek to Visapur fort starts from Visapur village which is as the base. The closest railway station is Malavli, with a steep road to the start point. You’ll have a mostly easy trail, with some steep sections that even first-timers will be able to manage. If you’re going in the monsoon and it’s raining, be prepared to be drenched. Towards the top, there are rock-cut steps to the summit, and these often form a path for gushing rainwater draining from the top. 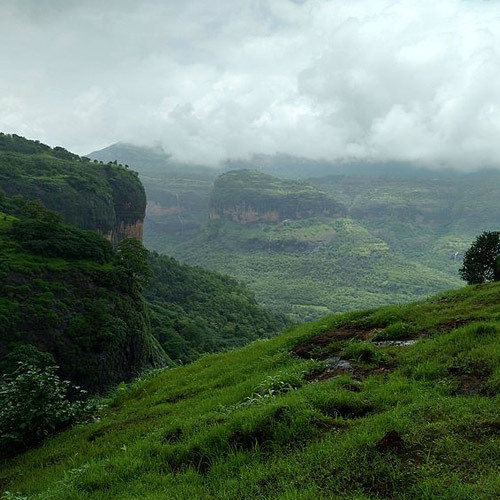 Route for the Visapur fort trek:The Visapur fort trek starts from the base village, and winds upwards through the greenery. It takes about 2 hours to get to the top. 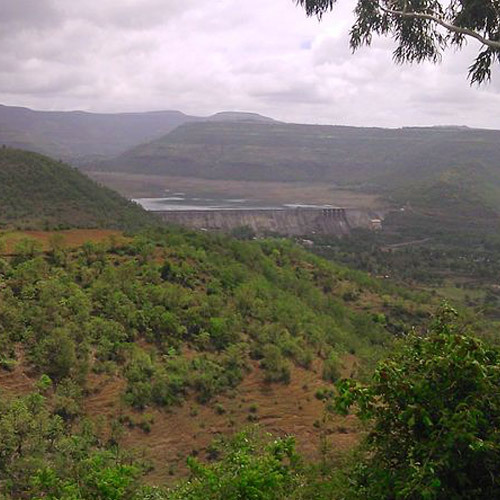 Along the route, you’ll be able to see Pavna lake, and the surrounding green landscape. The ramparts are fairly intact, but the structures inside are destroyed. 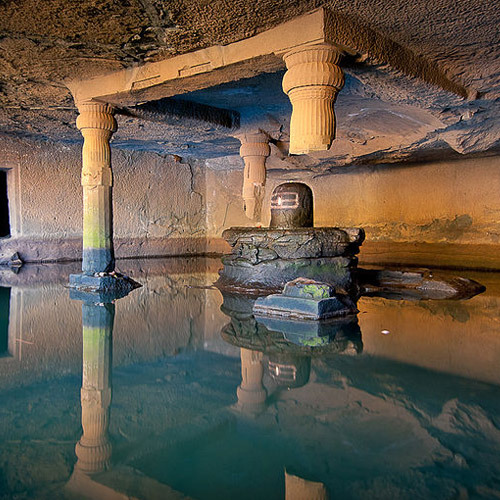 However, you’ll still be able to explore caves, ancient carvings, broken cannons, secret passages, and water cisterns. 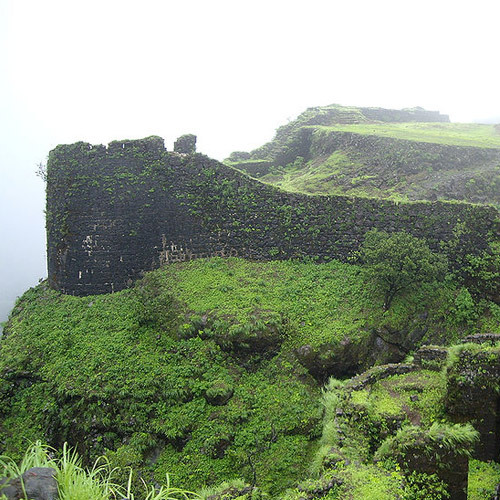 Best time to visit Visapur fort:The Visapur fort trek is best in the monsoon. The forests around turn green and lush, and the cloudy skies make a wonderful backdrop for photos. 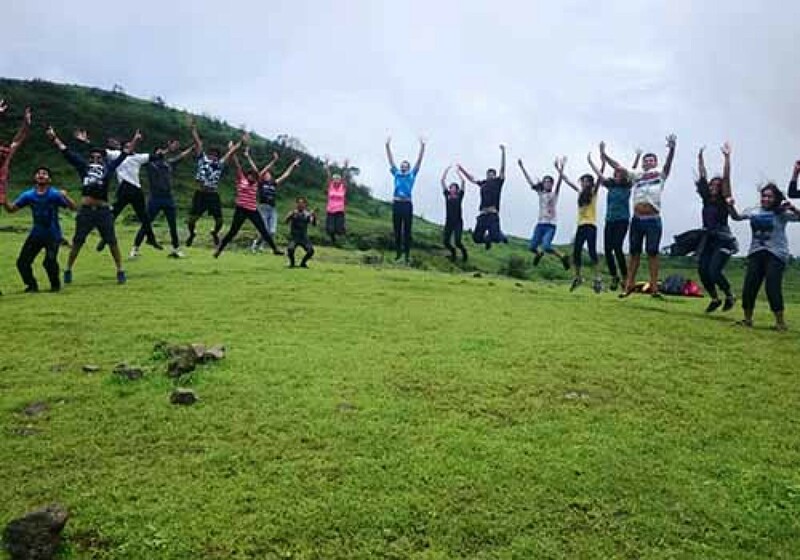 What to carry for the Visapur trek: For your Visapur fort trek, you should take appropriate rainwear and trekking shoes. Do carry your essentials like water, snacks, insect repellent, first aid kit, and camera in a small day pack. Don’t forget to pack a rain cover for your bag, or pack your belongings in plastic to protect it from getting wet. Also, carry a change of dry clothes and a long-sleeved jacket or sweatshirt to keep you warm on your return. 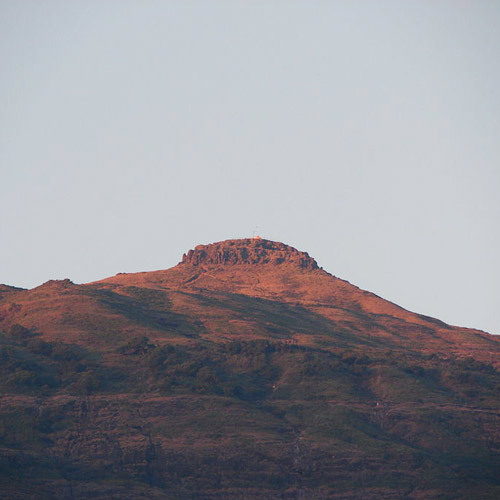 This trek to Visapur fort takes you to the top of an ancient fort where you can explore the ruins of a fort that has been ruled by Shivaji Maharaj, the Mughals, and then the British. 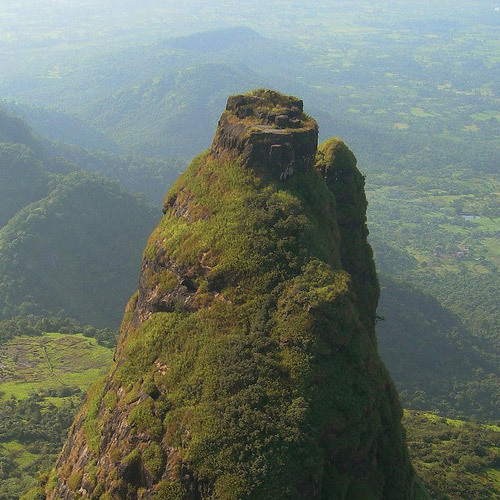 With mysterious caves, cannons, secret escape routes and a mammoth wall, Visapur fort holds many secrets, and plenty of thrilling surprises. On this trek, you'll have to negotiate rocky sections and walk through terrain dotted with streams and waterfalls throughout. 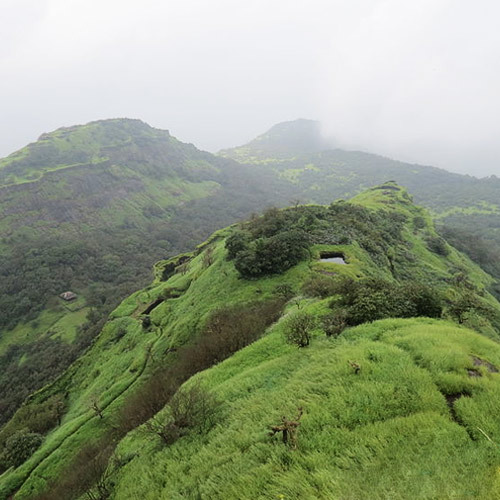 This easy trek to Visapur fort is a perfect option for beginners and families looking for a day in the outdoors. Any personal expenses such as soft drinks, packaged water, extra meals, etc. 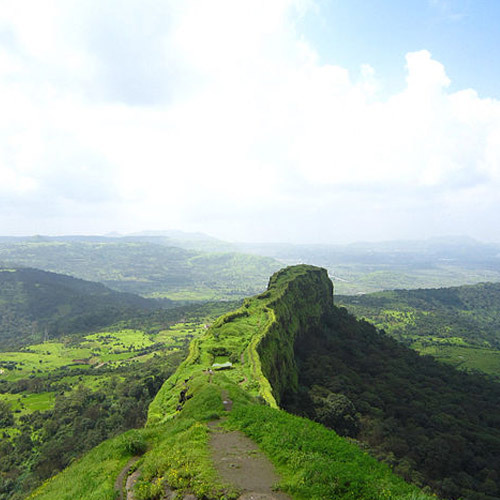 On this trek to Visapur, you’ll explore the ruins of an ancient fort after trekking along a mountainous route. The trek begins from the base village of Patan as you begin walking under the cover of thick jungles. En route, you’ll encounter water cisterns and small river streams intersecting your trail. As you get closer to Visapur, you’ll climb on rock-cut stairs that are often flooded by monsoon rains flowing down from the fort. This trek is an excellent way to escape from the city for a quick weekend getaway. Fit beginners as well as experienced trekkers may attempt the trek.